KAMPALA – The former Executive Director for Supervision at Bank of Uganda Justine Bagyenda is to answer questions regarding unilateral waiving of the Financial Intelligence Authority (FIA) rules for dfcu Bank to evade loan regulations, in the backhand management of the controversial takeover of Crane bank Ltd in January 2017. Evidence has been brought before the MPs on the Parliamentary committee on Commissions, Statutory Authorities and State Enterprises investigating irregularities in the closure of seven commercial banks, indicating that BoU officials wrote off Crane Bank Ltd loans amounting to Shs600b through unclear circumstances. “The non-performing loans and advances acquired by DFCU will be managed and reported on separately from DFCU’s per-transaction balance sheet for the period of at least 12 months,” Ms Bagyenda wrote. 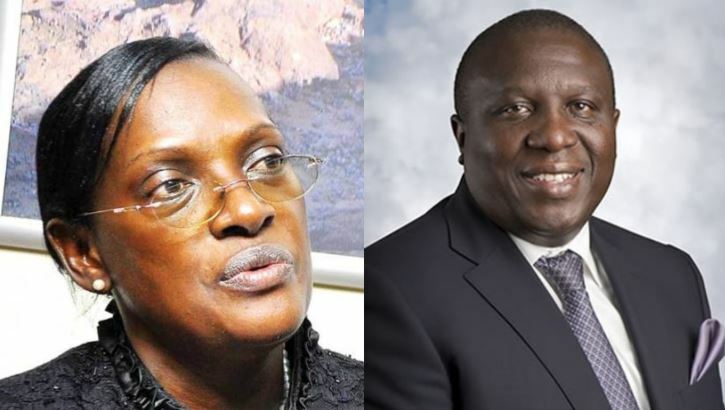 This new evidence will form the basis of questioning for Ms Bagyenda, the deposed former executive director for supervision and board member of the Financial Intelligence Authority as MPs will question the motive behind offering such waivers. Ms Bagyenda will be questioned alongside dfcu Bank directors, including the Chairman Mr Jimmy Mugerwa. It is understood that the dfcu bank directors will face questions of failing to stop the anomalies. The MP’s inquiry is also focusing on the mismanagement of closed banks by BoU after the Auditor General Mr John Muwanga issued a stinging criticism of the central bank in a special audit that cited massive flaws in the closure of Teefe Bank (1993), International Credit Bank Ltd (1998), Greenland Bank (1999), The Co-operative Bank (1999), National Bank of Commerce (2012), Global Trust Bank (2014) and the sale of Crane Bank Ltd (CBL) to dfcu (2016). Crane Bank Ltd was sold to DFCU Bank by Bank of Uganda (BoU) at a paltry Shs200 billion without consulting the shareholders who valued it at Shs1.3 trillion. 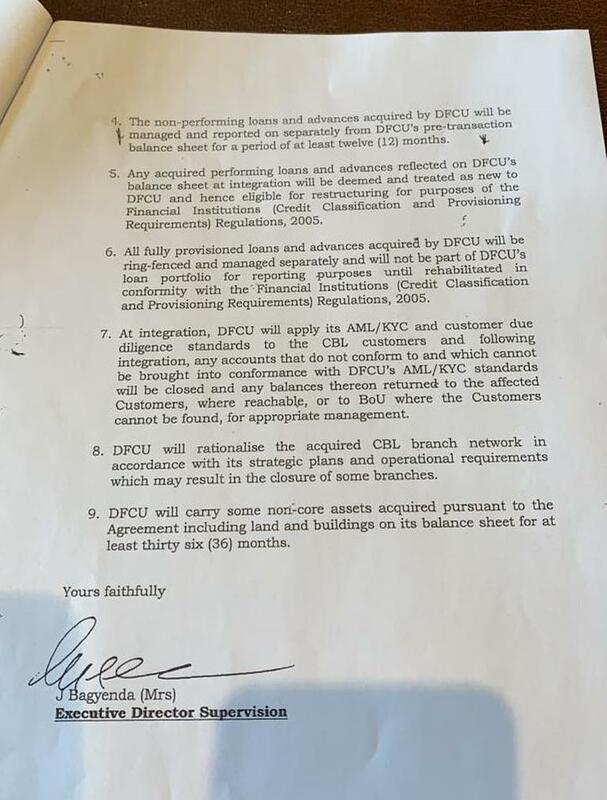 The January 25, 2017 sale agreement was signed by BoU Governor Tumusiime Mutebile and Mr Juma Kisaame, the now-deposed managing director of dfcu Bank, without considering the interests of major shareholders of Crane Bank Ltd. The shareholders of the defunct bank, who include the Sudhir Ruparelia family, White Sapphire, Jitendra Sanghani and Tom Mugenga, have since taken on the BoU, accusing its officials of fraudulent conduct. The shareholders also poke holes in the section of the document that gives BoU sole authority to negotiate the sale of Crane Bank, disregarding the stakeholders’ interests and only catering for depositors and creditors. The Parliamentary committee on Commissions, Statutory Authorities and State Enterprises (Cosase) will pronounce itself on the matter, that may see several BoU officials sacked.